The many benefits of working with a custom deck builder in Winston Salem. What does working with a custom deck builder get me? One of the first things that jumps out at you when you look at a builder-grade deck vs. a custom Winston Salem deck is the shape. Builder decks generally come in two: square or rectangle. When you work with Archadeck, we’ll do a site assessment in person to look at factors like the architectural style and features of your home and yard. We’ll also consult with you about your preferences and budget to ensure that your space will match the needs of you and your family. Sometimes even a small element like a bump-out for a grill can make a huge difference to how you use your new deck. 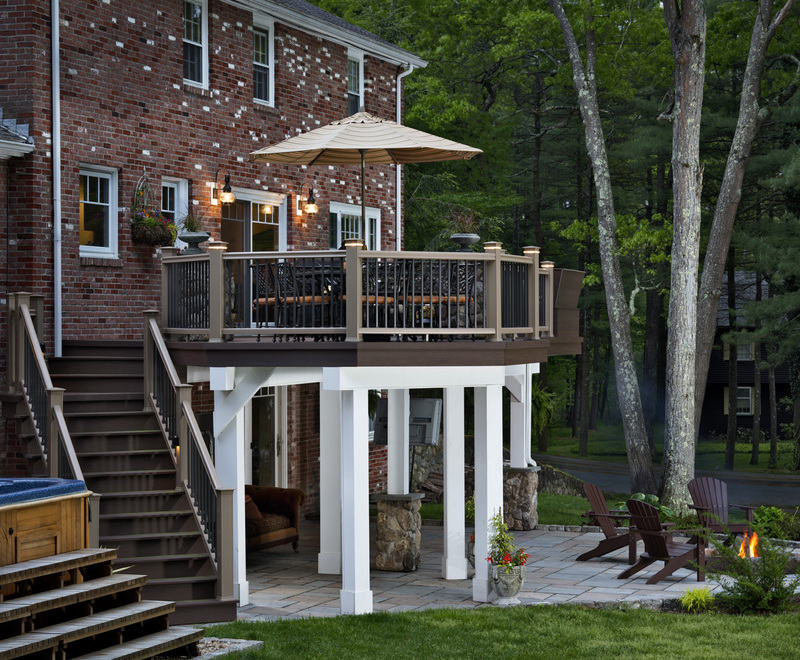 How much maintenance are you willing to do on your new deck? That’s one of the primary considerations, along with cost, for determining what kind of materials you want to use in building your Greensboro deck. Archadeck has a wealth of experience in working with the full line of low-maintenance decking products from industry leaders AZEK and TimberTech. We can help you mix and match between those two lines and a variety of natural and exotic woods including pressure-treated pine, cedar, Ipe, Brazilian Teak or Tigerwood. Railings are important too. Depending on the shape and size of your deck, they can be a significant expense. We’ll help you weigh the advantages and limitations between capped composites, pressure-treated pine with composite caps, aluminum and vinyl. There are so many options and combinations that it can be confusing if you are unfamiliar with them all. An experienced custom builder is an excellent resource to help you make the best choices for your home and lifestyle. Stairs are another area where the work of the custom builder shines. They are a very carpentry-intensive feature, but when they are well done, they can add significant value and beauty. You may want to include a landing on your stairs if they cover a significant distance. Stairs may even be designed to provide seating. We also will make modifications to assist mobility impaired family members (including dogs). It’s surprising what a big impact thoughtful stair design can have on accessibility and use of your deck or porch. We often include built-in lighting on our deck stairs as an important safety feature. We know there are several custom deck builders you can choose from. How do you choose the best company from the deck builders in your area? There are a number of deck builders in each of the markets we serve. How do you choose which one? Here are a couple ways to choose. Are they willing to provide a number of references from their customers? How are their reviews on Google Houzz and other review sites? How qualified are their design consultants? Will they work with you to design the best project for your family and for your budget? Do you like the members of the design team that you met and do you trust they will build an exceptional project for your home? We don’t just warranty our work. We provide the best warranties in the business – all 3 of them. In addition to Archadeck’s 3 industry-leading protections, some material manufacturers provide a warranty. 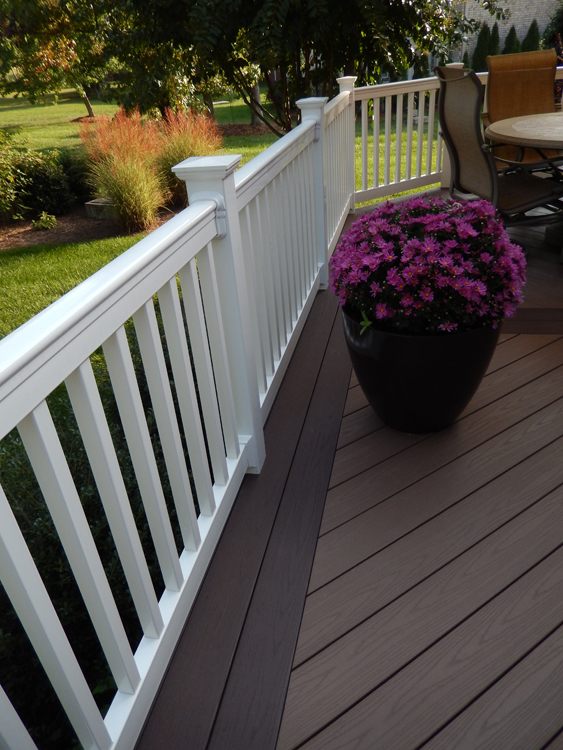 Many low-maintenance decking materials come with their own 25- to 30-year stain and fade warranty. It’s important to know that manufacturer’s warranties are only honored if the builder follows specific building requirements such as affixing your joists to an exacting distance. Archadeck has completed training and certification with companies like TimberTech, AZEK, and other composite wood companies to ensure any manufacturer’s warranties will be honored and the building requirements will have been followed.